When it comes to eyesight, I've always worn glasses since I was - probably - 6, and my first pair was -2 degrees myopia. As an all-petite girl, I've always struggled with finding womenswear, women shoes and women accessories that aren't too big for my figure, so I have to opt in - mostly - for kids shoes the majority of the times. 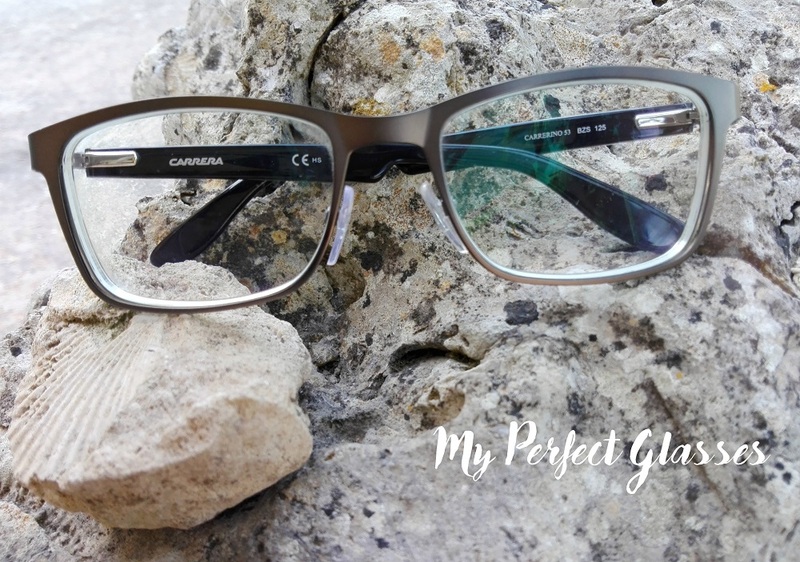 And it was very hard to find the perfect glasses with the right measurements that aren't looking childish as unfortunately happens with size EU33 shoes and everything in the kid's range. Glasses UK gave me my perfect pair of glasses. Perfect glasses! The name says it all. I've finally gotten MY pair. Nice frame and pretty overall, not big as every other. Carrera Ino53 Hno, priced £164 and including prescription lenses and coating. The perfect frame width: 123mm and arm length: 125mm for my small face. I took the prescription -6.50 right eye and -5.75 left eye and I have to say that the lenses are not too big as I was used to, even if I've got high degrees. Price-wide I think it is cheap than most optical stores, considering the very good quality of the materials and lenses. 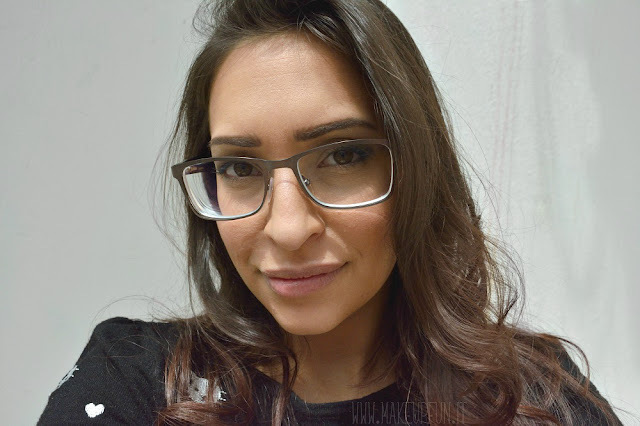 I really like this gunmetal color, it lightens up the face - unlike the black frames I've previously had in my life. This even makes my dark circles appear brighter, which is a blessing, as the black frames create a darker shadow that enhances the blackish of dark circles even more! By photo it appears they might be wide but they are not: it is the myopia lens that makes my eyes look smaller and my face line looks way back than it actually is. Perfect glasses offers designer frames with an impeccable service, a fast delivery and an always available customer assistance. You can find a wide variety of frame models and shapes, all for your specific needs and measurements and even all kinds of price ranges for your pockets. The website is very easy to navigate and you can directly search for whatever you like most, just with a click, and you can even virtually try-on the pairs by inserting your frontal photo. They also offer free returns should you change your mind or if the glasses don't suit you as you wanted. With every frame you get single vision lenses with a scratch-resistant coating for free! If you don't need prescription glasses, you can find stylish prescription sunglasses too, with full UV protection. Very fashionable and premium quality. Enjoy 50% OFF with the code PAYHALF the entire website! Ends tonight at 12. 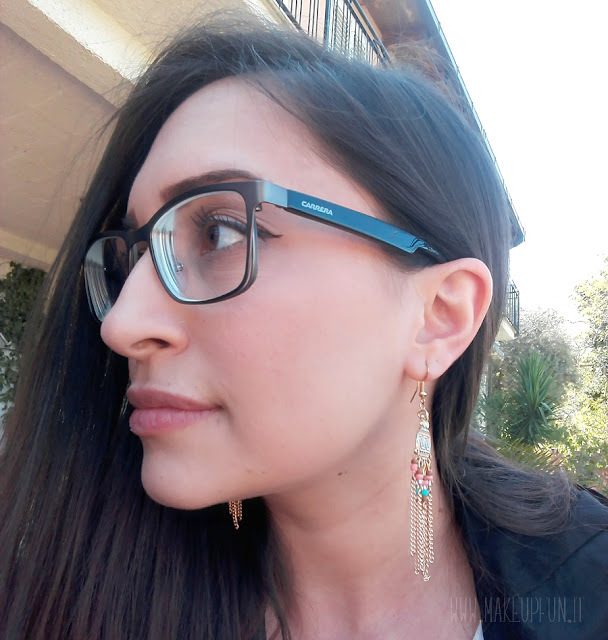 I am very happy with this online shop, definitely trustworthy, and I am super happy with my new glasses! Everyone complimented me for my new style, and I'm sure you'll find THE glasses for you.